Q: Six months into my tenant’s one-year lease, which specified “no pets,” she got a dog. She assured me it was housebroken, so I said she could keep it. Then I discovered that the dog had urinated all over the carpet. I had it cleaned, and the tenant assured me the behavior would stop. But her approach is to keep the dog crated all day, sometimes 14 hours at a stretch.The dog has to be miserable and I suspect there will be damage to the flooring due to the poor animal’s inability to hold it. I think this is cruel treatment and I want nothing of it on my property. Can I enforce the original “no pets” clause now? Do I have grounds to terminate the lease, which has three months left? –Maria L.A: Your experience holds a lot of lessons for other landlords. First, savvy landlords will demand more than a pet owner’s rosy description of a pet’s behavior before they sign a lease. These landlords will take the time and trouble to screen a pet by talking to past landlords and the pet’s vet. 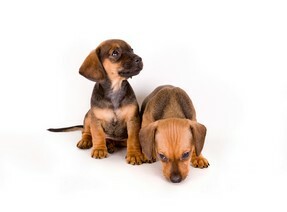 They’ll also ask about the pet owner’s plans to give the dog exercise during the day, and will include the plan in the lease.For example, the pet clause might include a specification that the pet owner provide a dog-walking service once a day, along with the usual promise to pick up pet waste and repair any damage caused by the pet. That way, if the pet owner fails to follow through, the landlord has grounds to terminate (for violation of a lease clause). When your tenant asked permission to keep the dog, you could have taken these steps, which might have given you a truer picture of the dog’s training and the owner’s intentions. And, of course, you could have just said no. But once you allowed the dog on the property, you waived your right to enforce the “no pets” clause. It’s simply too late now to try to turn back the clock and enforce that clause. There may be a way, however, for you to insist that the dog be treated more humanely, or to legally terminate the lease. The first option — reforming the tenant and preserving the tenancy — is more attractive and certainly a better outcome for the dog. Sit down with your tenant and express your concerns, in as nonjudgmental a way as possible. Make this about the welfare of the animal, not your tenant’s thoughtlessness. If that doesn’t work, bring in some reinforcements. You may get some help from your local humane society. If the owner’s treatment amounts to abuse in the eyes of an expert, and if the society is willing to work with you and the tenant, there may be hope. Of course, this too requires the tenant’s cooperation. The second option is to find a way to legally terminate the lease. If the dog’s confinement is seriously damaging your property, your tenant is committing “waste,” a legal term that describes significant damage, way beyond normal wear and tear. No matter what your lease says, all landlords are entitled to terminate when the tenant commits waste. An inspection of the rental unit, done according to your state’s access and privacy laws, should get you the information you need. Finally, consider the possibility that the treatment you describe is criminal animal cruelty, as defined in your state’s animal cruelty statutes. All landlords can terminate a tenancy when illegal activity is conducted on the rental property, especially when the property itself is involved in the criminal act. To take an extreme example, you may (and in most states, you must) terminate if you discover that your tenant is cooking meth in his apartment. But if your tenant simply writes a bad check (which is a criminal offense) at his kitchen table, it’s doubtful that you could terminate on that ground alone. An animal control officer’s conclusion that the dog’s conditions are illegally cruel, followed by a criminal charge, might support your termination notice. Certainly, if the charge proceeds to trial and there’s a guilty plea or verdict, you may safely terminate.